I love owls and will continue to paint images of them. 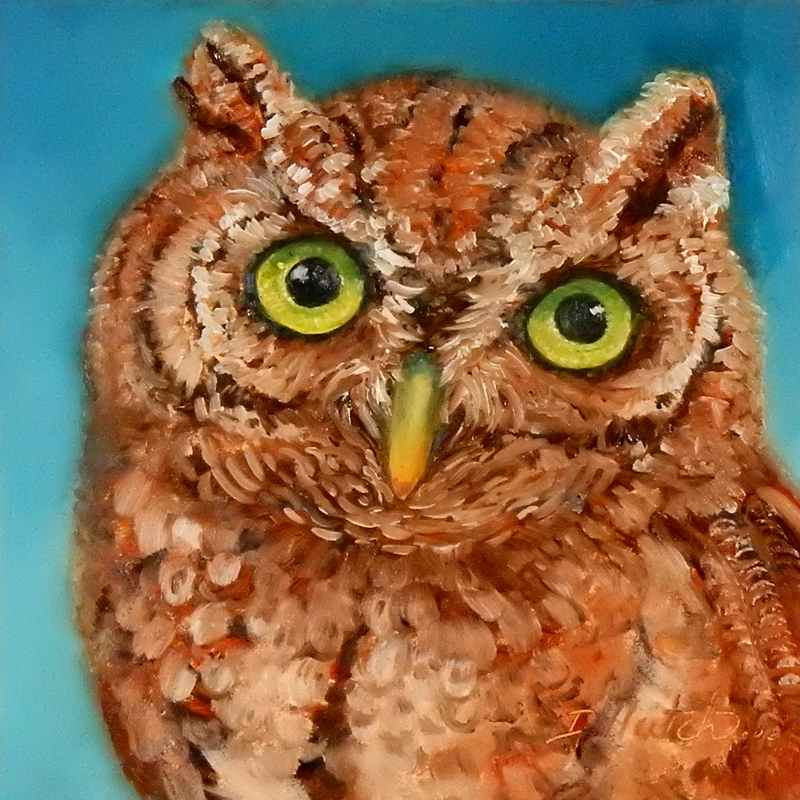 The link to bid or purchase is Owl #3 DPW. Thanks for all your support. Next up is a series called Market Series. There are 5 paintings of fruits and vegetables. All images come from a produce stand in Italy.